A used coupe from Regal Used Car Superstore provides you with the style and performance you crave at a price that is affordable! 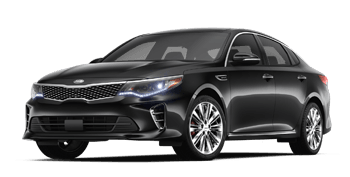 Secure a stylish and smooth-riding sedan from one of a variety of automakers at our car dealership in Lakeland. Shop the pre-owned SUV selection at Regal Used Car Superstore for a spacious and versatile vehicle that can meet the needs of your daily life and weekend adventures. Haul and tow with confidence with a pre-owned pickup truck from our dealership. 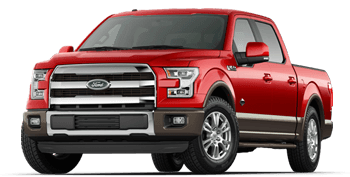 Test drive a full-size or mid-size pickup today! Regal Used Car Superstore invites Brandon and Winter Haven, FL area drivers to our used car dealership for quality pre-owned car sales and financing at competitive rates. We have been serving the Lakeland, FL area and beyond since 1973, providing a stress-free car shopping environment and superior customer service for all. Our extensive selection of used cars for sale allows you to shop across many makes and models to find the vehicle right for you at the right price. Whether you shop Regal Used Car Superstore online or on-site at our used car lot in Lakeland, FL, you can expect to get a great deal on a quality used SUV, pickup truck or car! When you are ready for a different experience from other used car dealers, shop at Regal Used Car Superstore. Our dealership features a dedicated finance team that proudly caters to the credit-challenged and drivers of all credit levels and financial situations. Our finance department staff understands the importance of a dependable set of wheels; that is why we offer second-chance financing, along with competitive rates on used car loans. Your time and money are valuable, so let our finance staff do everything possible to deliver a hassle-free used car loan process. Apply for financing today! 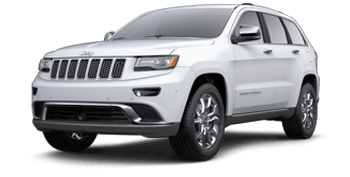 As you begin your used car search here on the Regal Used Car Superstore website, take your time to browse and explore our large and varied selection of late-model used cars, SUVs and pickups -- all priced to sell and provide you with great value for your money. You can search by make, model, year, mileage and other filters to locate the precise pre-owned vehicle you are after! Regal Used Car Superstore is committed to providing quality used automobiles at prices that are competitive, so you can shop and buy with confidence at our used car lot in Lakeland, FL. At Regal Used Car Superstore, we employ friendly, trained sales associates who are here to assist you in your pre-owned car search. Our no-pressure shopping environment starts here on our website and continues when you visit us for a test drive. Let our sales staff know about any requirements and preferences you have for your next vehicle, and we can help you find your ideal pre-owned ride -- online or on-site! If you have located a car or two that you would like to explore further, request a test drive to ensure your vehicle of choice is available and ready for you when you arrive! Getting the auto loan you need to drive home in a dependable and affordably-priced used car is possible - and stress-free -- when you work with our in-house finance team! Our finance specialists are committed to assisting credit-challenged drivers to find the financing they need. 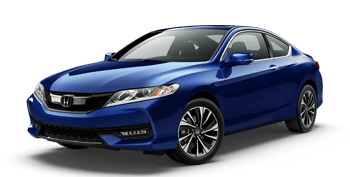 We provide our secure finance application here on our website; that way, you can apply for used car loans from the comfort of your Wesley Chapel or Brandon, FL area residence. Obtaining sub-prime financing for your used car purchase is possible when you submit a finance application to our team today! Looking for prompt and professional auto service for your car? Whether you purchase a used car at Regal Used Car Superstore or elsewhere, we invite you to our auto service center for routine maintenance and more. Our used car dealership sells and services nearly all makes, so the next time you are in need of a filter or oil change or inspection of your vehicle's battery, brakes or tires near Winter Haven, FL, turn to the service department at Regal Used Car Superstore. Our team of ASE Certified technicians are located at our used car dealership in Lakeland, just a short drive from Wesley Chapel, FL. The staff at Regal Used Car Superstore is proud to call the Lakeland, FL area home. While providing local drivers with affordable used car options and hassle-free financing is our specialty, we are honored to serve our community in other ways. By supporting Lakeland and Winter Haven high schools and various Lakeland area clubs and organizations, we can help continue to make this area we all call home a great place to live. Contact us today to learn more about our community involvement, and how you can join us in supporting the local community! Our modern used car dealership aims to provide as many of our services online as possible, giving you the tools and information to secure your next car with financing, schedule an appointment for auto maintenance and discover the value of your trade-in vehicle. So explore our comprehensive website now to get a jump on your used car search! Our dedicated used car sales, finance and service staff are always available by phone or in-person with any questions about our many services. We look forward to seeing you here on-site at our Lakeland, FL used car lot soon!